This blog post was authored by Edmund Brumaghin, Warren Mercer, Paul Rascagneres, and Vitor Ventura. Financially motivated cybercriminals have used banking trojans for years to steal sensitive financial information from victims. They are often created to gather credit card information and login credentials for various online banking and financial services websites so this data can be monetized by the attackers. 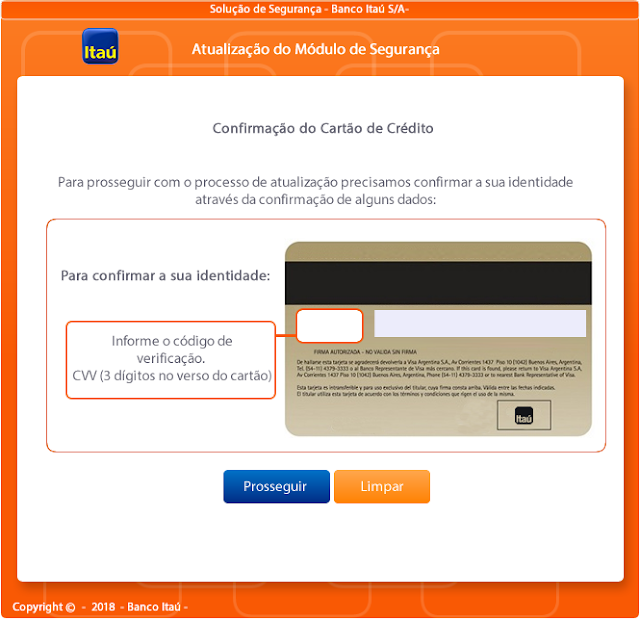 Cisco Talos recently identified two ongoing malware distribution campaigns being used to infect victims with banking trojans, specifically financial institutions' customers in Brazil. Additionally, during the analysis of these campaigns, Talos identified a dedicated spam botnet that is currently delivering malicious spam emails as part of the infection process. While analyzing these campaigns, Talos identified two separate infection processes that we believe attackers have used between late October and early November. 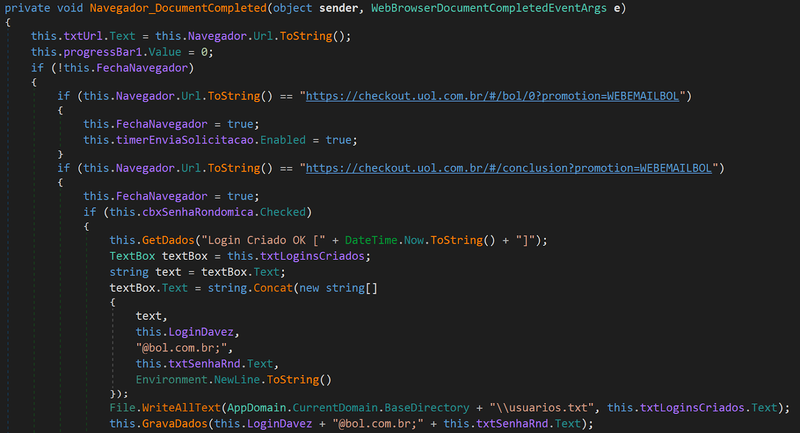 These campaigns used different file types for the initial download and infection process, and ultimately delivered two separate banking trojans that target Brazilian financial institutions. Both campaigns used the same naming convention for various files used during the infection process and featured the abuse of link-shortening services to obscure the actual distribution servers used. The use of link shorteners also allows some additional flexibility. Many organizations allow their employees to access link shorteners from corporate environments, which could enable the attacker to shift where they are hosting malicious files, while also enabling them to leverage these legitimate services in email-based campaigns. "Fatura-XXXXXXXXXX.zip," where "XXXXXXXXXX" is a 10-digit numeric value. "__Fatura pendente - XXXX.lnk," where "XXXX" is a four-digit alphanumeric value. The library decompresses the PRX file and executes it in a remote process (library injection). 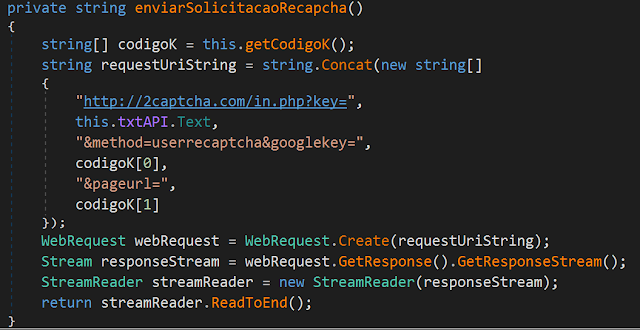 This injected code is the final payload described later in this post. In addition to the infection process described in Campaign 1, Talos also observed a second series of campaigns that leveraged a different process to deliver and execute malware on victim systems. This campaign also appeared to target Portuguese-speaking victims. "Fatura-XXXXXXXXXX.zip," where "XXXXXXXXXX'" is a 10-digit numeric value. "__Fatura pendente - XXXX.exe," where "XXXX" is a four-digit alphanumeric value. When executed, these PE32 files are used to create a batch file in a subdirectory of %TEMP%. The batch file is then deleted and the infection process continues. This PowerShell script retrieves and executesthe malicious payload that is being delivered to the system. This PowerShell also leverages the Bitly service, as seen in the previous screenshot. With Bitly links, users can obtain some further information by adding the "+" sign to the end of the shortened URL. By doing this, we discovered that the link was created on Oct. 21, most likely around the campaign start time, and the number of clicks that have been registered through the Bitly service, we identified 699 clicks so far. While the HTTP request is made for a JPEG and the content type specified is "image/jpeg," the server actually delivers a ZIP archive containing a Windows DLL file called "b.dll." The script then executes sleep mode for 10 seconds after which it extracts the archive and saves the DLL to a subdirectory of %APPDATA% on the system. RunDLL32 is then used to execute the malware, infecting the system. The uncompressed DLL is very large, approximately 366MB in size, due to the inclusion of a large number of 0x00 within the binary. This may have been used to evade automated detection and analysis systems, as many will not properly process large files. Similarly, this will avoid sandbox detonation, as most sandboxes will not allow files of this size. Additionally, infected systems beacon to an attacker-controlled server (srv99[. ]tk) during the infection process. Analysis of the DNS communications associated with this domain shows an increase in attempts to resolve this domain, which corresponds with the campaigns that have been observed. The majority of these resolution requests have occurred from systems located in Brazil. We once again see a creation time, but this time, it's a few days later. This potentially shows the actor pivoting to a different email list to send the same spam information to. Both of these campaigns eventually deliver a banking trojan. 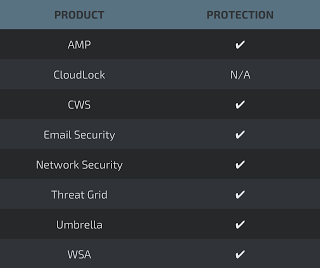 However, Talos identified additional tools and malware hosted on the Amazon S3 Bucket. This malware is a remote administration tool with the capability to create emails. The emails are created on the BOL Online email platform, an internet portal that provides email hosting and free email services in Brazil. The attacker's main goal appears to be creating a botnet of systems dedicated to email creation. 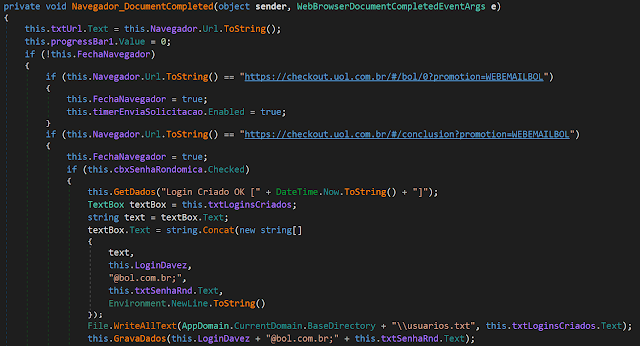 The malware is developed in C# and contains many Portuguese words. During our investigation, all the created emails were prefixed by "financeir." The trojan has the capability to clean itself, send created email credentials and restart, download and execute binaries provided by the C2 server. We identified more than 700 compromised systems on the servers that are members of his botnet. The oldest machine was compromised on Oct. 23. This botnet created more than 4,000 unique emails on the BOL Online service using the the aforementioned technique. Some of these emails were used to initiate the spam campaigns we tracked as part of this research. 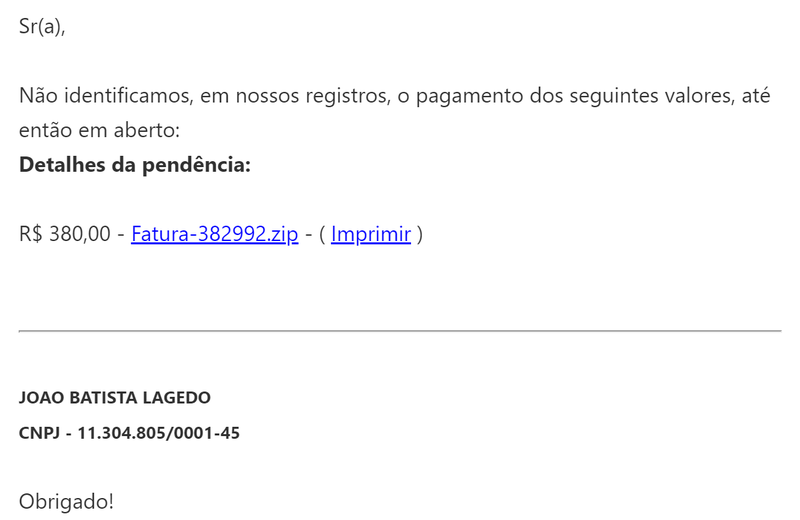 Given the filename patterns, the victimology along with the specific targeting aspect of both campaigns, Talos assesses with moderate confidence that both of these campaigns leveraged the same email generation tool we discovered on the actors open S3 Bucket. This shows a link between both campaigns to the same actor using the same toolset. Likely the actor attempted to use different delivery methods and email lists to deliver his malspam. We identified two different payloads deployed during these campaigns. The payloads are developed in Delphi and are banking trojans targeting Brazilian banks. A keylogger then retrieves the information entered by the target. 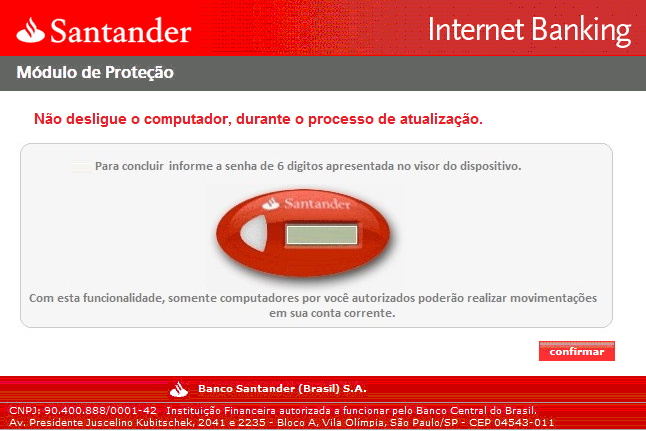 The following financial services organizations are being targeted by this malware: Santander, Itaù, Banco do Brasil, Caixa, Sicredi, Bradesco, Safra, Sicoob, Banco da Amazonia, Banco do Nordeste, Banestes, Banrisul, Banco de Brasilia and Citi. This strain of malware is prevalent throughout the world and is further proof that banking trojans remain popular. With this sample the attacker targets specific Brazilian banking institutions. This could suggest the attacker is from South America, where they could find it easier to use the obtained details and credentials to carry out illicit financial activities. We will continue to monitor financial crimeware activities throughout the threat landscape. 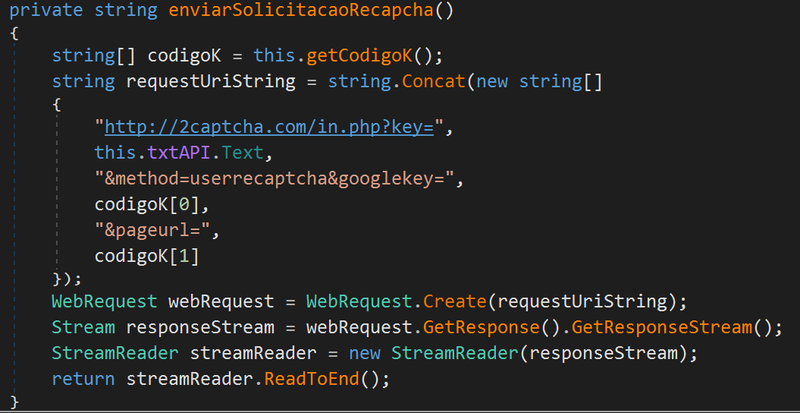 This is not a sophisticated trojan, and most banking malware rarely is, but it's the latest example of how easy it can be for criminals steal from users by abusing spam to send their malicious payloads.This threat also shows the lengths that actors are going to in order to obtain additional emails to abuse, creating an automatic generation mechanism to get new emails for additional spam campaigns.